Horseracing has never been the kind of sport to rely on a maxim like: 'If you build it, they will come.' If you want people to run horses at your racecourse, you have to give them a good reason, like prize money or the promise of a good time or the chance of landing a prestigious and historic contest. And some go further than that, offering an additional payment as incentive to owners to show up. Racing has, over the years and in several countries, dabbled with various schemes that might broadly be grouped under the heading of appearance money, without really talking through the implications. This might be a good time to have that conversation because the incentive for tracks to attract the big-name horses is only going to increase. For evidence of that, one only has to ask Nick Smith, director of racing and communications at Ascot, about the benefits that flow now and will eventually flow to the Queen's track from having a good number of international raiders at the Royal meeting every summer. "We started chasing international horses just because we wanted to make the meeting more interesting and develop an identity," Smith said. "The Gold Cup is a wonderful race, but it's a long time since people woke up in the winter talking about the Gold Cup at Ascot. It doesn't happen. "So the Royal meeting needed an identity over and above fashion, globally. And that's why we worked from the start on bringing the internationals in, to make it Europe's international hub. Now the benefits are really starting to flow in because the media rights money is all linked in, the betting will become linked in -- that's a bit further down the line but it's coming -- and there's the intangible sponsorship benefits. Plus, it's what people talk about in the pub, they talk about the Australian winner, the American winner. It's one of the key selling points." 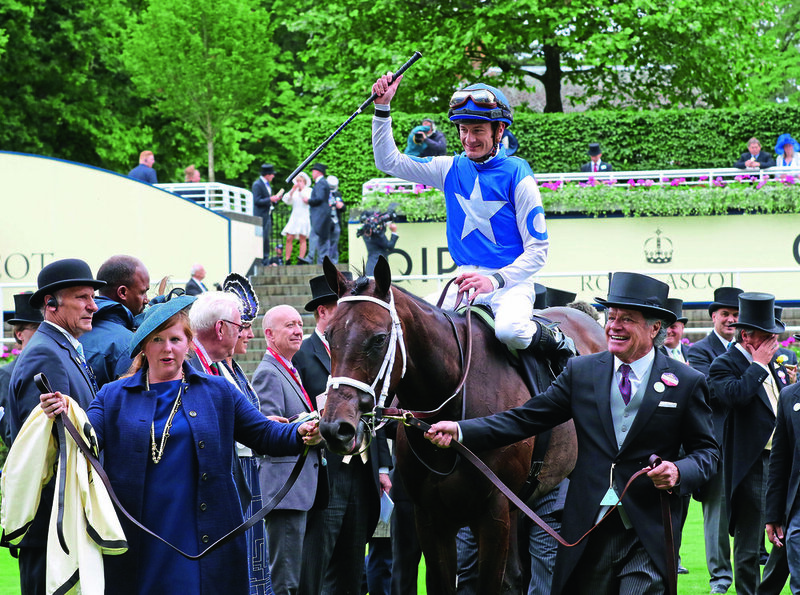 Thanks to a steady stream of US-trained winners at Royal Ascot in recent years, notably the star mare Tepin, NBC covered at least four races in that country on all five days this summer, broadcasting from two fixed positions at the course. Smith adds: "If you can put a presentation together for new sponsors that [shows coverage by] NBC, Channel 7, NHK, Fuji TV, and ITV, then you can go to sponsors and say, ‘This is what we deliver.’ Everything comes together for the general good." As you might expect, Ascot has sought to be responsible in its means of attracting those valuable raiders to Britain. Smith pays a fixed sum to each runner from outside Europe, depending on which part of the world they're coming from, the aim being to cover about half of their travel costs. But he will only pay for "Group One horses in Group One races," with the result that Wesley Ward's many two-year-old raiders have never qualified and must pay their own way. "What you don't want is too many horses coming just because it's a good gig. Whilst we're really happy to have a 115-rated horse run in our Group One races and we are very happy to pay a travel allowance towards that, if we did full payments for those kind of horses, we would be overwhelmed and most of them would be out of their depth." Smith stresses that what he is paying is "a travel allowance," to avoid any suggestion that it might be appearance money as understood in some other sports, ie an amount that might actually be greater than the prize money on offer. No one can hope to secure a net profit just by having a runner at Ascot; for that to happen, the horse must perform well. Nevertheless, Smith is considering whether to introduce a "double allowance" for horses rated 130 or over, on the basis that there will only be one or two in the world at any time. "What I wouldn't do is change the rules for a particular horse. Black Caviar got the same allowance as everybody else and they wanted to run, so they invested in it as well, like every other horse owner.